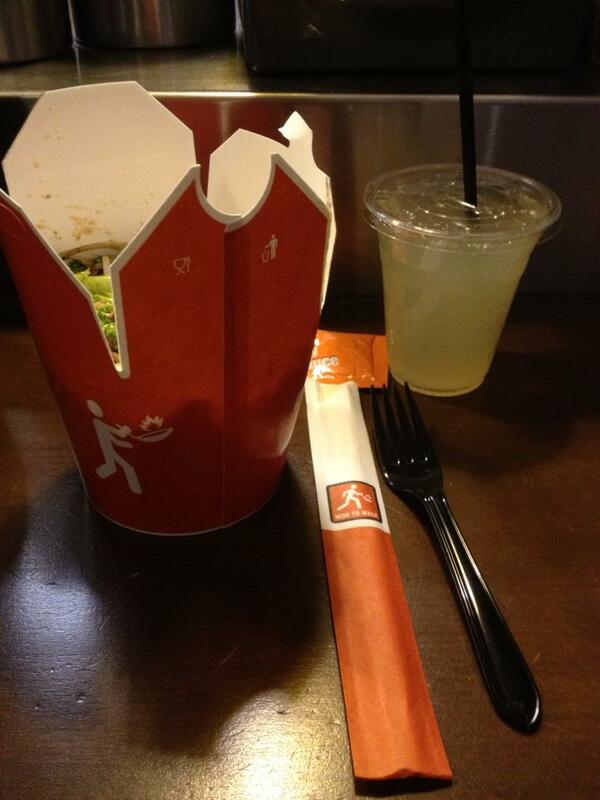 Ever since the first time I went to Amsterdam about 4 years ago I’ve had an unhealthy obsession with Wok to Walk. For those of you that have never had the pleasure of experiencing it, it’s Amsterdam’s best fast food joint specializing in noodles and rice cooked in front of you, made to order in a huge wok. And it’s delicious. In the past I’ve gone for udon noodles with a mix of chicken or prawns with veg but on my last trip to Dam I discovered the best combination. 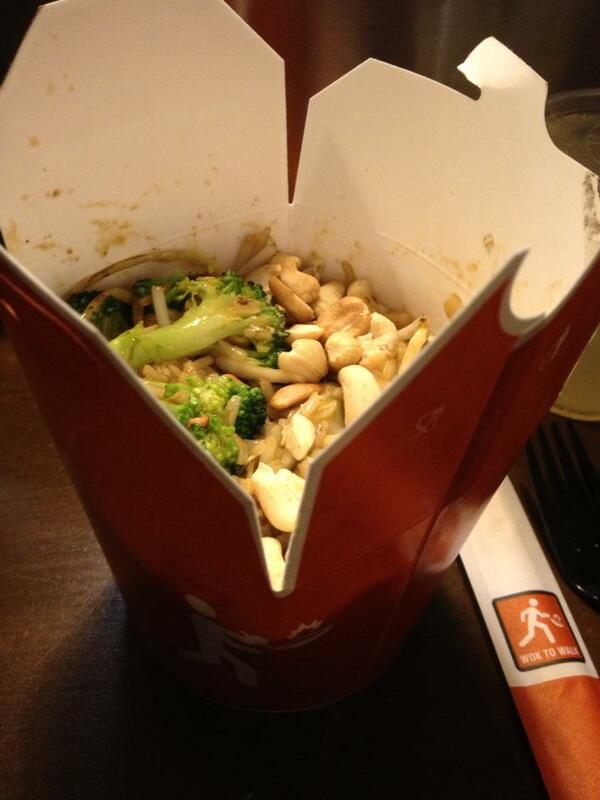 Wholegrain rice, chicken, broccoli baby corn, cashew nuts and teryaki sauce. I have my good friend Jamie Boyd to thank for this recipe as it was all his idea. 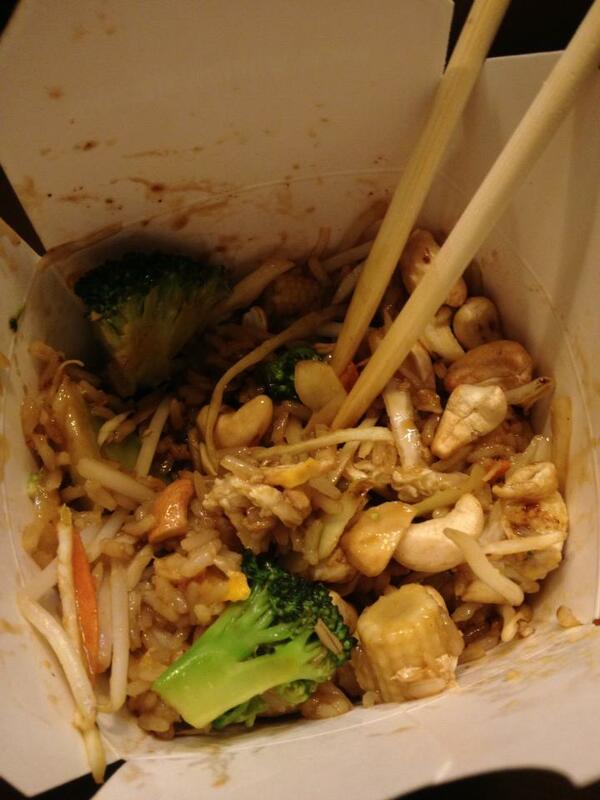 On that wonderful trip to Amsterdam we must have had Wok to Walk about 5 times in 3 days and it never got old. So when I found out that there was a branch in Soho I obviously couldn’t wait to go and get involved. For some reason, it just never happened, I always planned to go and for whatever reason I didn’t, so yesterday, on my own with an hour to kill I decided to take a trip through Soho’s seediest street to re live my Amsterdam dream and try it. On first impressions of the restaurant I was happy, the layout and everything was pretty much the same but the atmosphere obviously had nothing on its Deutsche branches. I went for the usual and sat down on my ow with some fresh lemonade and waited. Now I know that in Amsterdam everything tastes better and of course that has a lot to do with the legalization of weed, but I definitely had Wok to Walk there in a sober state and it still tasted just as good but Soho couldn’t quite live up to expectations. I wasn’t completely disappointed because essentially the food was still good. 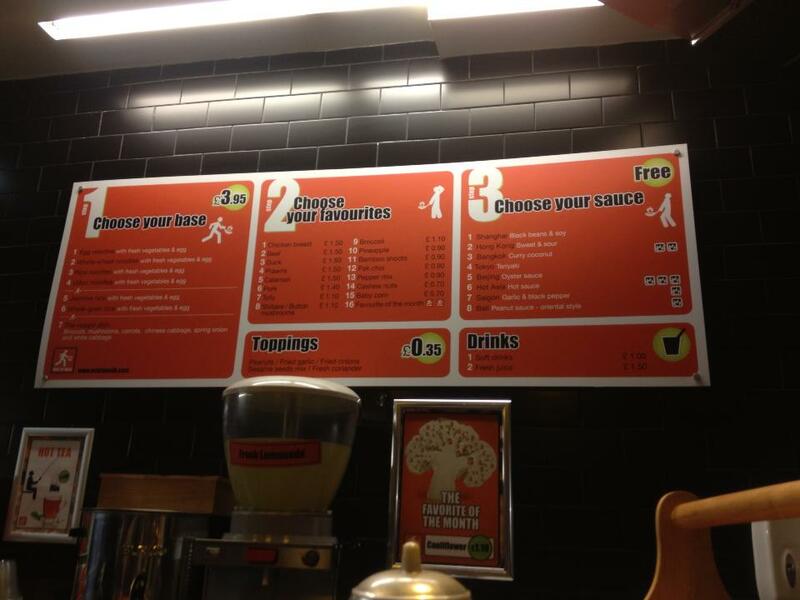 But I don’t think I’d go back in a hurry and if I did I’d probably order something new. The wholegrain rice was slightly under cooked and the food wasn’t hot enough. The teryaki sauce was ever so slightly too sweet and I just didn’t get the ‘oh my god this is amazing’ feeling that I had all those times in Amsterdam. The chicken and veg were nice and although I’m complaining now, I still ate the whole thing and as far as fast food goes in Soho this still probably wins. I’d recommend it if you’re stoned,I’m sure that would make a whole lot of a difference.